If you are registering to join the Practice online or changing your personal details online, you will need to bring in supporting documents as evidence before we are able to proceed with your application. If you would like to join our Patient Participation Group please contact 01933 412777. It is important that you keep us up-to-date with your contact details. If your mobile number or address changes, please let us know. The Friend & Family Test helps us gain important feedback from our patients. These short questionnaires can be completed online (following the link on the right), by telephone, or by filling in the form at reception. Repeat prescriptions can be ordered by either ticking which medication is required on a repeat slip, written request or on-line. Please note that repeat prescriptions cannot be taken over the telephone. Prescriptions will be ready for collection in two working days (48 hours). 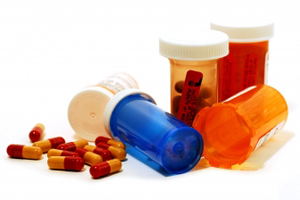 Prescriptions should be ordered approximately 7 days before you run out of medication. Please note, the surgery cannot accept prescription requests that are requested more than 10 days before they are due. We are now offering electronic prescribing (prescriptions sent to nominated pharmacy electronically without issuing a "green" prescription slip). Please ask at reception or your local pharmacy for details. Please follow the link below to understand more about the changes in nonprescription medications.